Our annual Science Fair at New Invention Junior School was yet another huge success. Every year, the projects planned and carried out by the children, get better and better. The judges included several school governors (some of whom come and judge our projects very year), Mrs Dorricott (Science Coordinator) and this year, the 'Science Lead' at Pool Hayes Secondary School kindly gave up his time to come in and see the hard work carried out by the children. Year 5 and 6 pupils take part in Science Fair every year during the Spring Term. Pupils get themselves into groups of no more than three and choose a question that they would like to investigate. Children then need to plan their investigation, identifying the variables to change, measure and keep the same. After they have carried out their investigation, and gathered results, these results must be presented in an appropriate way and finally conclusions and evaluations are written. The final stage, is where groups present their project on a display board, ready for the judging day. This year's Science Fair - when the projects were judged - was on Friday 24th March. The judging took all morning, with each upper school class having a half an hour time slot, when the judges would visit. 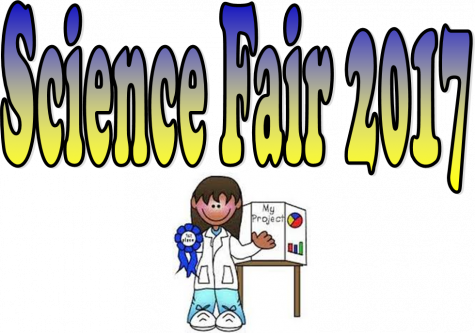 During the afternoon of the same day, parents and lower school were also invited to visit the Science Fair. Bronze, silver and gold medals were awarded for each class. 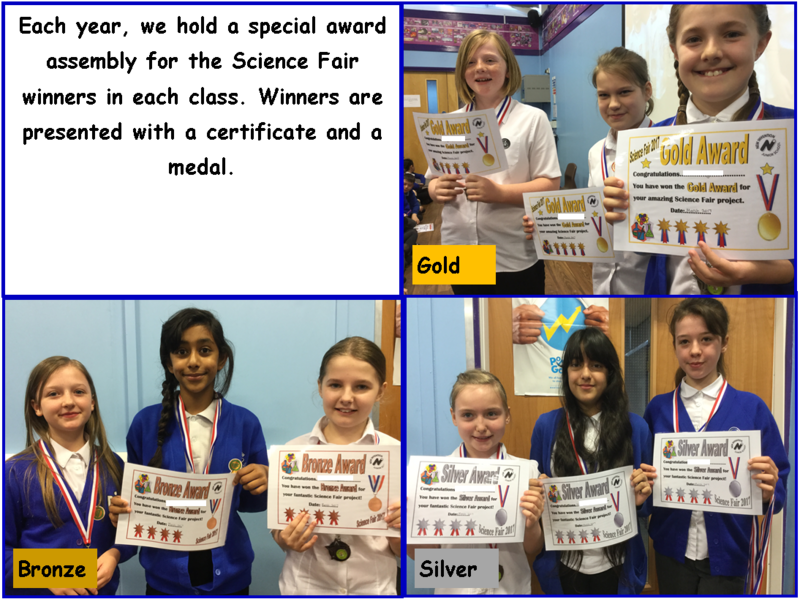 These awards were given out during assembly on Wednesday 29th March. Groups that were placed, were presented with a medal and a certificate. Winners of the Science Fair visited Pool Hayes High School to work in their labs as a special treat! The Science department at Pool Hayes, welcomed 50 year 5/6 students from New Invention Junior School, who were all award winners from their annual science fair at their school. All gold, silver and bronze medalists were invited to enjoy a forensic science morning as a reward for their expertise in Science. The pupils arrived at the science labs to be greeted by a crime scene surrounded by crime scene tape. Their first task was to make observations and then guide a forensic investigator (a pupil) to collect any vital evidence. They noticed several clues: the outline of a body, a tipped over chair, a knocked over wine glass, a plant which had fallen off the side and they collected a note which said ‘die,’ a piece of ripped clothing, a mysterious white powder, a card suggesting the person was diabetic and some spilled liquid. Once they had gathered their evidence, they came up many theories as to what had happened, the most common theory was that one of the science technicians had been murdered, and that the fact they had diabetes was somehow involved. Once they had the evidence and a theory, our pupils needed to prove or disprove their ideas. To do this, they did a number of experiments: chemical tests of the powder and the liquid, chromatography of the note and pens along with analysis of the fibres found in the crime scene. The 'young forensic scientists' identified a suspect using the clothing and the ink from the pens, and then identified that the liquid in the wine glass was an acid, and the white powder wasn’t the sugar a diabetic might need. Pupils were then able to do flame tests and work out that the white powder was salt. They loved working with bunsen burners! Pupils came to conclusion that the technician had been murdered by another member of staff, and the murderer had used salt to replace the technician’s emergency sugar supply and had also switched the technician’s water for an acid. We hope to continue to develop the relationship between ourselves and the Pool Hayes Academy and will look forward to hopefully working together again next year.